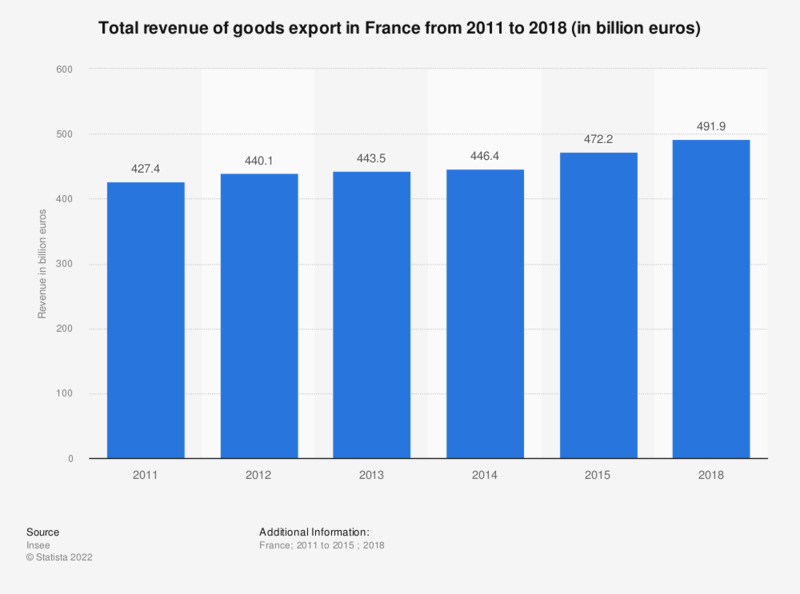 This statistic shows the total goods export revenue in France from 2011 to 2015, in billion euros. Between 2011 and 2015, the goods export revenue kept on rising. Indeed, goods export generated 440.1 billion euros in 2012, and 472.2 billion euros in 2015. The source adds the following information: "Base year 2010".